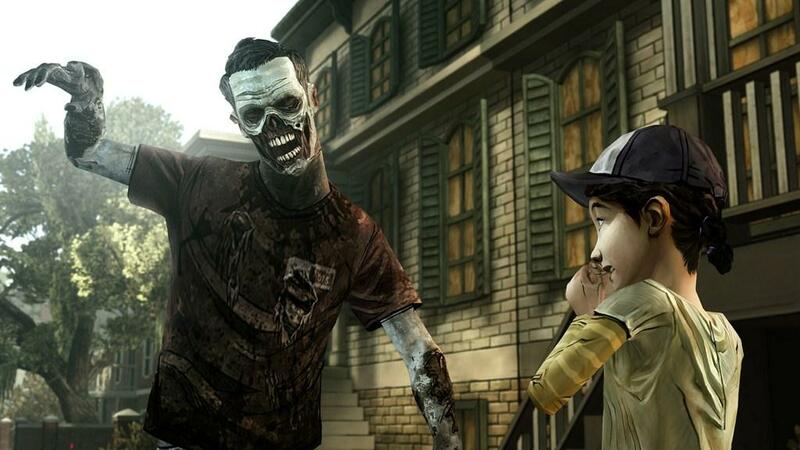 Now four episodes in, The Walking Dead remains the most gripping adventure of the year. This newest chapter, Around Every Corner, is yet another strong installment, even if it ultimately feels like filler. There are plenty of great action scenes and a number of huge developments, including a cliffhanger that will keep you guessing until the series finale hits later this year. As always, let me take a moment to bring you up to speed. If you haven't played the first three episodes, then there's nothing in this review for you. You'll find all of my thoughts on the series' gameplay, presentation and path structure when you read my review of the first game, A New Day. If you have played the first three episodes, then you're probably already sold on the series and this review won't sway you one way or the other. As such, I plan on reviewing this game with a few spoilers sprinkled throughout. You have been warned. Now that Lee, Kenny, Clementine and the rest of the survivors have made it to Savannah, it's time to search for safety and figure out the identity of that mysterious voice. Kenny still wants to find a boat and sail somewhere ... anywhere. Thankfully the group finds a safe house; a place to rest and let Omid recover from his injury. This also gives us a chance to come up with a real plan. A quick look at the docks reveals that somebody has come through and taken everything valuable. A spunky new character tells us about Crawford, a group that occupies a large section of the town. Their command center seems to be a school. These are bad people, we're warned. They kill the old and children under 14 are not welcome under any circumstance. They have tight security and aren't afraid to shoot first and ask questions later. Unfortunately, Crawford has what this group needs. This is a classic example of a filler episode, where our characters are sidetracked from their main objectives in order to complete a bunch of busywork. In this case the busywork involves breaking into a heavily guarded facility to rebuild a boat, but it still feels less substantial than the events of Long Road Ahead or Starved for Help. This is an episode that sets up what should be an incredible finale. As a standalone episode, it's lacking the depth of past chapters. On the other hand, the Crawford campus is a genuinely creepy location. The idea of a new government sprouting up is also exciting, yet it's only mentioned in passing. As the most interesting part of the game, it's a shame this section is over so quickly. Still, it plays out in a satisfying way and the cliffhanger at the end will make you forget about some questionable pacing. I was excited to see that a good chunk of the episode involves Lee entirely by himself, left to his own devises. 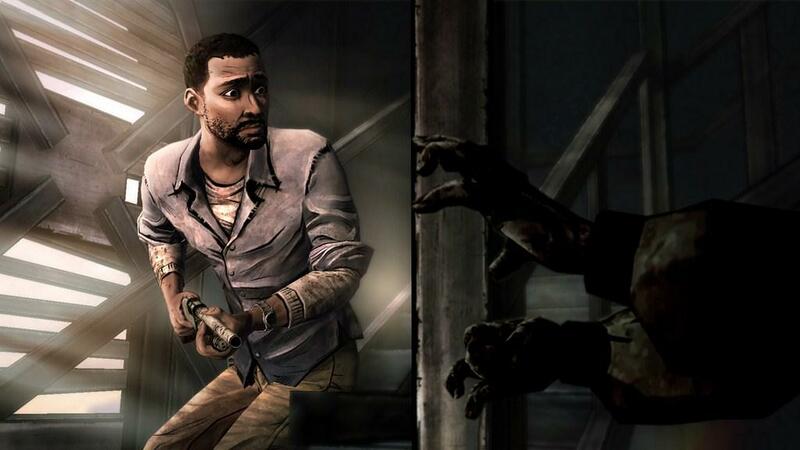 This is the first time in quite a while we haven't had Clementine, Kenny or one of the other survivors hanging around. This also means you don't have to put up with everybody else's mood swings. Ah, silence. Even though much of this episode is filler, there are still important decisions that need to be made. Characters will live or die based on your actions, and it's up to you to figure out who will be on your team leading into the final installment. Still, I can't help but feel that everything involving Molly and Vernon is completely inconsequential to the end game. Perhaps I will be proven wrong by the series finale. Much like Long Road Ahead, this episode places an emphasis on action. 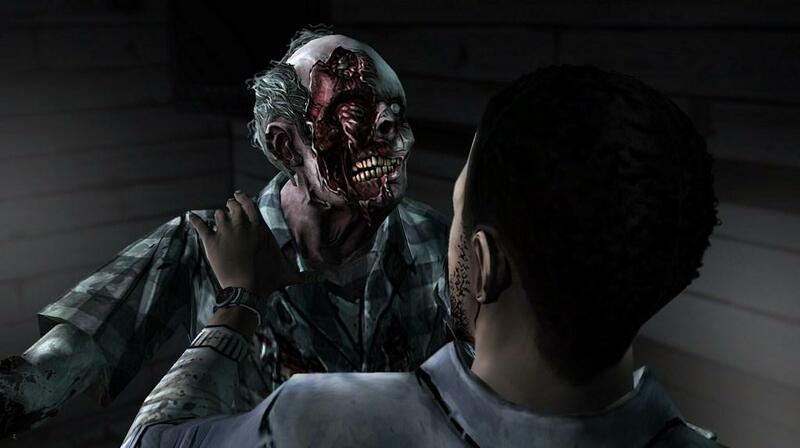 There are several moments when the game turns into a very basic shooting game, which isn't The Walking Dead's strongest feature. I found myself dying more than usual, often in ways that didn't seem especially fair. Thankfully the game is good about check points, but that doesn't make up for the frequent frustrating deaths. Although not as strong as the first three episodes, Around Every Corner is a tension-filled ride that is important to take. This sets up all of the drama and excitement that will come to a head in the fifth and final chapter. It's hard to see a way for The Walking Dead to have a happy ending. Maybe that's not the point. Either way, I can't wait to see how the questionable decisions I made in this episode play out in the finale. 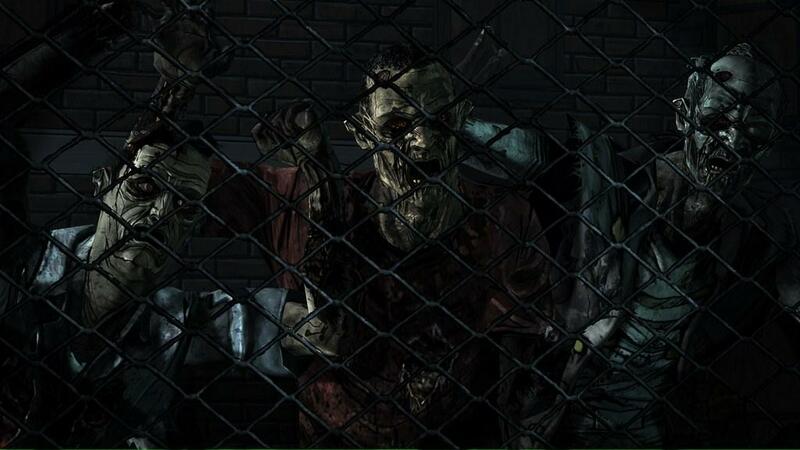 While not as gripping as the first three episodes, Around Every Corner remains a strong chapter of The Walking Dead. Unfortunately, too much of the game involves new characters that don't seem vital to the end game storyline. Still, this is an episode that sets up what is sure to be an incredible season finale!